The public is welcome to view the artist install her signature vinyl murals on AFA’s windows. 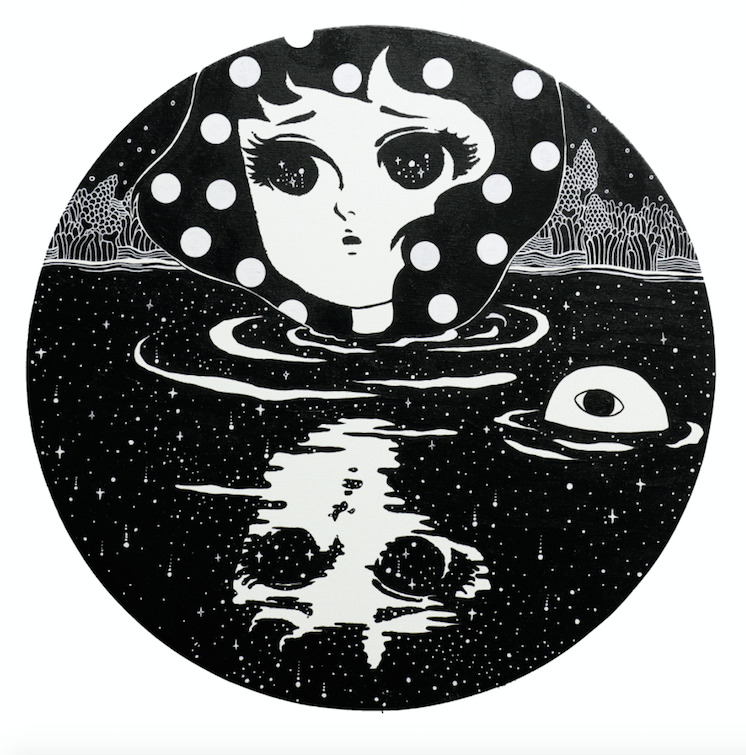 AFA Gallery is proud to announce an installation and original artwork by vinyl artist, Stickymonger (Joohee Park). This visionary artist will apply her large-scale vinyl panels on our windows, on Broome and Greene Streets. Following up her recent collaborative installation at the World Trade Center, Park is pivoting her attention to SoHo to create a storefront window experience that will be an artistic beacon within the chic neighborhood. In addition to the window mural, she will also exhibit and sell original works of art and prints in the gallery. This is a tremendous opportunity to acquire a painting by an exciting emerging artist on the rise. Originally from Korea and based in Brooklyn, Park holds a BFA in Graphic Design from Ewha University and an MFA in Digital Art from Pratt Institute. 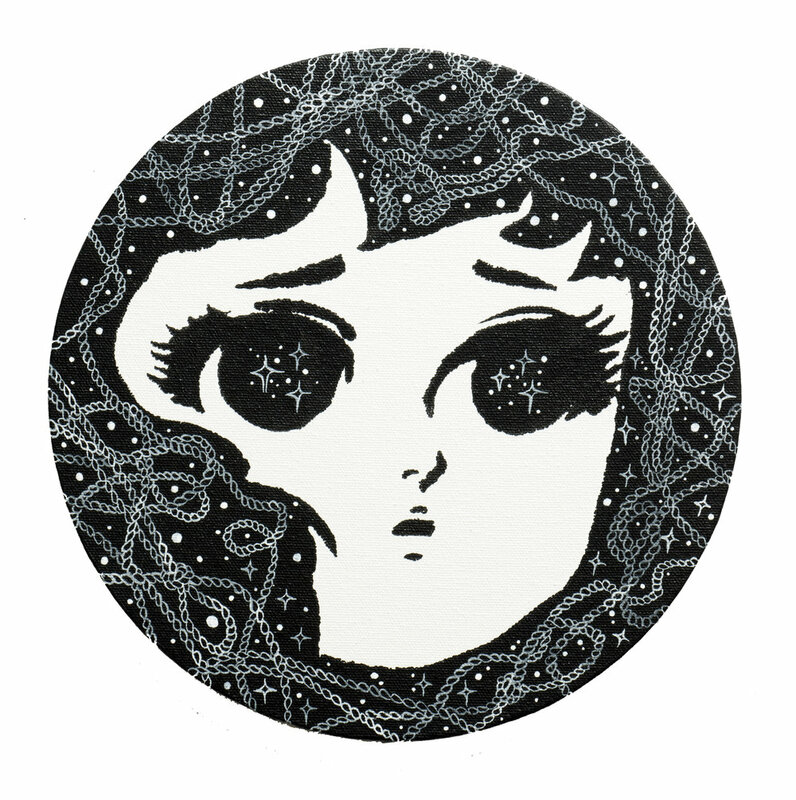 She has been consistently developing a style of vinyl art that draws from Neo-Pop influences such as comic books, anime and stylized illustration. 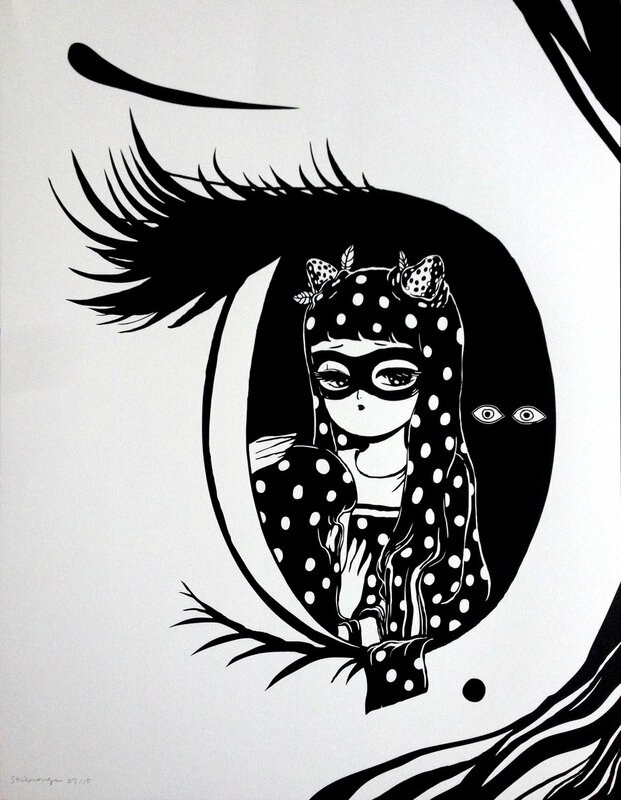 Her vinyl murals are composed of large black “stickers” that are meticulously cut from giant rolls of vinyl and hand applied to walls and/or windows. Park’s artwork has been shown internationally and across the US, most recently placing a mural on the 69th floor the World Trade Center.